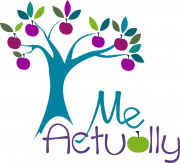 With 24 years of cross sector learning and organisational development experience, Annie is now established as an independent consultant, through her business Me, Actually. She promotes the professional development of women and students in particular, through coaching, mentoring, speaking and workshops, inspiring her clients to achieve things they never thought possible, such as promotion, career change and running marathons. Annie has a long held commitment to developing others and demonstrates this through both her paid and voluntary work. 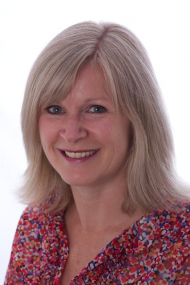 Annie is a qualified trainer, coach, mentor and an accredited behavioural profiling facilitator. TetraMap offers two really important questions that we don’t often ask ourselves. 1. Why are you like that? 2. How to approach me? What a great basis to start team development from! Annie is a great listener, and asks the right questions to lead me to very solid decisions which I believe in. Annie has shared new techniques and changed the way I look at problems into opportunities and to explore in self-discovery. I have practised ever since our coaching and I feel I have really benefited from practice of these techniques shared with me. The techniques were, however, always presented as a choice and not a demand. As a result, I became interested in pursuing new solutions instead of just fixing my problems. My coaching framework has been very dynamic with fantastic timing to my needs. Annie has a brilliant way of building confidence and allowing you to self-discovery what it is you can be capable of. Thank you for both your coaching and the lively, worthwhile coaching sessions you have provided me.. You helped me both personally and professionally.